Rise Up is an ensemble of top Seattle vocalists and musicians that performs the amazing music of “Hamilton”, the record-breaking Broadway musical and winner of 11 Tonys including Best Musical. Rise Up delivers a performance that captures all the sophistication, detail and emotion of this music that marries hip hop, R&B and Broadway. music of “Hamilton”. Rise Up has performed extensively in the Northwest, delighting theater, festival and club audiences at frequently sold out shows. Poor Clare is an indie folk band from Seattle, performing original music inspired by the mysteries of God and life. Poor Clare’s music echoes the beauty of the Pacific Northwest: melodies that soar from the peaks of the mountains, lyrics exploring ocean depths, textures that rain from the clouds like a dream. Led by songwriter and performer, Lacey Brown, Poor Clare invites you along on a musical journey reflecting the beauty and pain of life. The Seattle Mandolin Orchestra exists to preserve, promote, and extend America’s mandolin ensemble tradition. 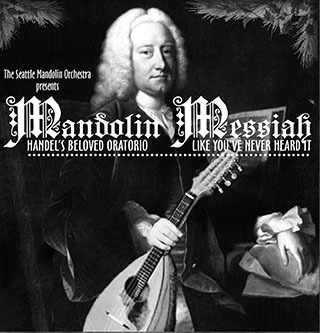 Featuring the entire mandolin family of instruments, including mandolin, mandola, mandocello, and mandobass, the orchestra offers an opportunity for musicians of any skill level to serve the Puget Sound community through performance, recordings, outreach, musical instruction, and publishing.